MacBook Battery Replacement Requires Admin Credentials? 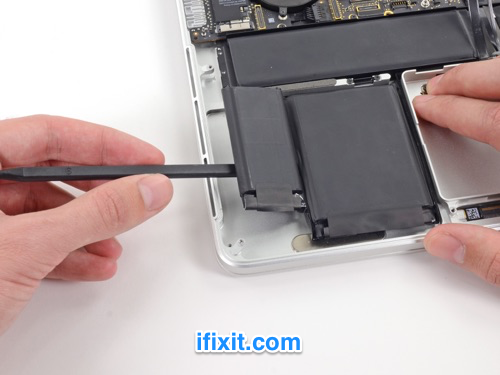 Over the weekend, I investigated the possibility of Apple replacing the tired battery in my four year old rMBP13. Yes, they can do it. It’s $199 for that particular model. But they also require an admin-level username and password for the device. Here’s an excerpt from the chat session. What is the Admin Name and password for your Mac? Will not share. Definitely should not be required for a battery replacement. It is required. When the Mac goes to the repair depot that is required. You can remove that information so there is just an automatic log in. And you can set it up again when you get it back. We do not ask for any information that is not required. Okay, then we’re done here. Thanks very much for your help! An automatic log in, while an improvement from a certain point of view, isn’t a fix. No, you don’t have to know the user/pass now to access the system now, but you’re still on the system with admin-level credentials. Anyone with admin equivalent credentials to the system can, with a minimum of effort, get into whatever part of the file system they might like, make changes to the system, etc. No one should give these level of credentials to anyone, let alone Apple over a chat session. Not even a properly-encrypted-with-a-valid-cert chat session that makes me believe I was, in fact, speaking to an official Apple representative. Battery replacement in a compact laptop chassis such as a modern MacBook is an arduous affair, which is why I’m happy to pay someone else to do it. But the price of admin equivalency, even temporarily, is a price too high. Whatever the technical reasons might be for this current requirement, Apple should do better. I suggest a service mode that could be used to verify that the replacement battery installation was successful. No doubt it’s not that simple. Nothing ever is. I’ll try a meatspace Apple store and see if there’s a way I can get the replacement done without having to hand over the admin credentials.